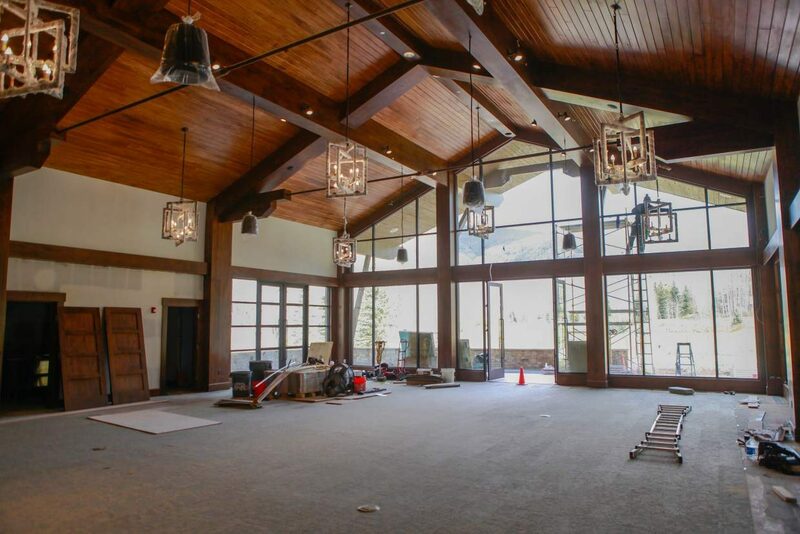 The interior of the clubhouse for the Vail Golf Club nears completion Tuesday in Vail. The new clubhouse is approximately 22,000 square feet with two levels and four kitchens. 2011: Vail voters approve a measure to spend tax money originally raised for a conference center on a package of projects including a golf course clubhouse renovation. The measure passes with more than 80 percent of the vote. 2012: Clubhouse neighbors ask town officials to re-think plans for the facility, and file suit to stop the project. 2015: The Colorado Court of Appeals rules unanimously in favor of the town of Vail and Vail Recreation District in the legal dispute filed by golf course neighbors. 2016: The new clubhouse is expected to open in early November. VAIL — It’s taken five years, and a lot more money than first estimated, but the Vail Golf Club and Vail Nordic Center will have a new home in the next few weeks. Contractors are now putting the finishing touches on a new facility that replaces the early-1970s clubhouse at the course. Greg Hall, the town’s construction project manager, said the Vail Nordic Center is set to open in early November, and the clubhouse should be ready by then. When the facility does open, it will mark the end of a project marked by increasing costs and legal action by clubhouse neighbors. The final tally isn’t in yet, but the project will ultimately cost more than $11 million, a substantial increase over the first estimates of $7 million or so. That first $7 million came from a couple of sources, some from the Vail Recreation District, which operates the facility, and the rest from the town, which owns it. The bulk of the initial money dedicated to the project came from a roughly $9.4 million fund, which was raised by a lodging tax first intended to build a conference center. When that project was shelved due to a sharp increase in costs, the money sat for several years. In 2011, the town asked voters to approve spending the money on a variety of town projects, including upgrades at Ford Park and the Gerald R. Ford Amphitheater. That ballot issue passed with more than 80 percent of the vote. But the delays in the clubhouse renovation started almost immediately. The biggest of those delays began in 2012, when a group of clubhouse neighbors filed suit against the town and recreation district to stop the project. Those lawsuits were ultimately resolved in 2015, when the Colorado Court of Appeals unanimously ruled in favor of the town and recreation district. With town officials confident in their case, construction had begun by the time the state’s second-highest court ruled on the matter. By then, though, the cost estimate had risen to more than $10 million, due in large part to a steep rise in construction costs driven by a Front Range building boom and other factors. Those factors also played a significant role in the sharp increase in the price of a new Interstate 70 underpass in Vail. Some cost increases were also due to the inevitable surprises in doing a down-to-the-framework renovation of a building more than 40 years old. The most recent big bump in the final price came in March, when the Vail Town Council was asked to put another $650,000 into the project to cover costs associated with essentially rebuilding the structure, as well as various plumbing and drainage problems. With all that as prologue, town and recreation district officials say they’re excited to open the new clubhouse to the public. Besides operating golf and Nordic skiing out of a new building, the recreation district will also work to provide food service during both summer and winter seasons. The new restaurant, called the Gore Range Grill, will provide a weekday lunch soup buffet during the winter, with a somewhat expanded menu on weekends. The grill’s menu will expand for golfers. While the clubhouse was under construction, the Nordic center and golf course both operated out of temporary facilities. Foley said he played about 20 rounds of golf over the summer and praised both the course and the service from course employees. “The service rivals that of any country club,” Foley said. Kim Newbury also serves on the recreation district board and said she played golf at the course about once a week during the season. She also praised the staff for helping golfers get onto the course, crediting course director of golf Alice Plain and her staff. “It was really one of the best years ever on the course,” Newbury said. Golfers seemed to agree. District communications manager Jessie Kleforth said course revenue for the summer exceeded the district’s budget for this year. 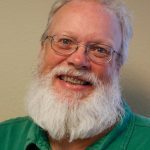 Dale Bugby served a term on the Vail Town Council from 2013 to 2015. Bugby has also been critical of how the clubhouse came to be. The longtime local businessman said play at the course was fine throughout the summer, but added it was a “less than perfect experience.” Still, Bugby said, the new facility is a “huge improvement” from the old building. It’s the clubhouse’s sharper focus on events that drew the most criticism from opponents. The new facility is only 1,700 square feet bigger than the old one, and the guest capacity has increased from 120 people at any event to a maximum of 160. The town has put curfews on outdoor events — probably weddings. And the recreation district is already working to book the new banquet room. “If anybody’s looking for a place for a Christmas party, this would be a great one,” Kleforth said.